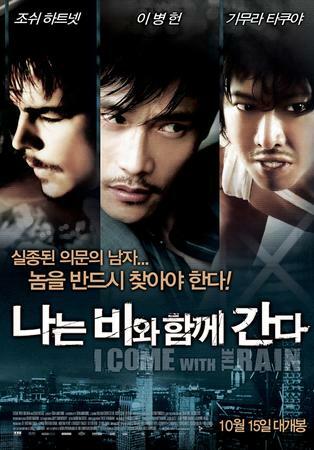 Note: despite the obviousness of the title, the film does not have anything to do with the Korean singer/actor Rain. In fact, despite the presence of superstar Lee Byung-hun, and the appearance of a somewhat-Korean film (given its promotion, you would’ve thought everyone else was taking part in a Korean production), this is not actually a Korean film. It is, as is officially defined by the geographical origins of its money, a French-British-Irish-Spanish-Hong Kong co-production, directed by a French-Vietnamese, Tran Ahn Hung, shot in the Philippines, Hong Kong and Los Angeles, headlining an American (Josh Hartnett), Korean (the aforementioned Mr Lee) and a Japanese (Takuya Kimura) actor, ably supported by Shawn Yue from Hong Kong, and all set to the sounds of music composed by the Argentine Gustavo Santaolalla and the British music superstars Radiohead. If that doesn’t make your head spin, I don’t know what will. The strawberry juice packaging was faulty. Kline (Hartnett) is a former Los Angeles police officer who became a private investigator. He is hired by a somewhat-mysterious pharmaceutical boss to look for his son Shitao (Kimura), who disappeared somewhere in the heart of Asia some time ago. One could argue, though, that his son disappeared from his life long ago, given that he had never actually seen his son since the age of ten. Nevertheless, there is a reason for the fact that we do not actually see Shitao’s father on screen, his presence announced merely via a teleconference between him and Kline early on in the film. So Kline heads to Asia, stopping first at the Philippines in Mindanao, Shitao’s last known stop. Following the trail, he goes to Hong Kong to see him. With the help of his friend, Meng Zi (Yue), Kline manages to make inroads, but at the same time his actions and associations also brings him in direct contact with Su Dongpo (Lee), a powerful crime lord with an impressive collection of silk shirts (the staple, it seems, for Asian crime bosses). As he does so, he gets entangled within his own dreams and recollections of his last and greatest ‘enemy’, Hasford (Elias Koteas), a psychopath who murdered people before chopping them up and putting them back together as art installations. It wasn't just the emperor who had new clothes. There, within the very short two paragraphs written above, pretty much outlined the entire story. Nevertheless, it doesn’t quite what the whole film is about. For the one thing, a film, a story requires is not just the form, but also the substance. Usually, the substance (i.e. story) is first established, enhanced and solidified, before the form (i.e. the camera styles, lighting, etc.) comes in around the edges, making it neat and sharp for our consumption. Here, however, I feel as if the form and substance are somewhat entangled, that the substance has as much been influenced by the style as well as the other way around. This is to better get at the psychological dimension within the film itself. Case in point: the scenes of Kline’s flashback. Halfway through the film, in trying to track down Shitao, he abandons his 5-star hotel for a ramshackle existence, trying, as he did the last time with Hasford, to get into the mind of his target. The jump cuts, the break in continuity, the sounds of the trippy Radiohead (I actually thought it was John Murphy, who did a fair number of Danny Boyle’s films), his body dripping with water (remember the title? They all get wet a lot). He agonises, moans, and bristles as much as he could with the raw emotions that he could indeed muster. Bless him, for without him (and the cast, for that matter) the film would have floundered more than just a little, I think. For once, Kim Young-cheol wasn't around to betray him. Some have said that a film, any film, is only as good as its actors, and in this case, I feel that while many of the other factors also come into play, the biggest factor in any of this film’s success would lie largely with the charisma of its performers. I like Josh Hartnett’s approach and development of the character, but he was aided by a favourable amount of screen time. Lee Byung-hun, with his charisma, would have stolen more scenes had he been given more of them, while Takuya Kimura just screams a lot. Not to say that it was terrible, but…yeah, the poor guy suffered throughout the whole film. I also liked Elias Koteas quiet intensity, but once again, no real time to properly develop his character. But I digress. Style. Soft dissolves, creating a lomo-like feel. The soundtrack, rising to a deafening crescendo, only to be cut down in its prime by Elias Koteas: “The suffering of mankind…a marvel of the universe. Is there anything more beautiful on this Earth?” That line gives a hint of the origins of the substance, which is…the Bible. Or at the very least, Christianity. There is a huge amount of Christian symbolism within the movie; in fact, Shitao himself is based on none other than the late and great Jesus Christ. Even without double-checking the various online sources, you really couldn’t escape the notions of human beings and the sacrifices they go through. The Absmaster 3000 really worked. 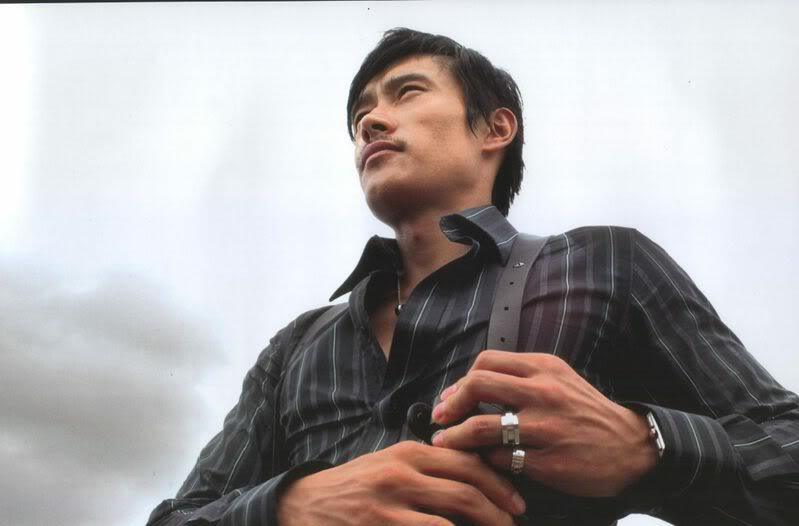 For my part, my biggest interest comes from the internationalness (if ever there is such a word) of the film, as well as Lee Byung-hun (who I am a big fan of). With the way the feature film industries of the world are evolving…heck, with the way the world is evolving, such productions, I believe, will be less of an alien concept. I am willing to bet, though, that such productions are rife with difficulties and challenges. Making films is not easy, and even more so when you have differences in schedules, geography, languages and culture. What was it like for Tran to direct these established actors? How much time did they spend preparing and working together before the actual shoot? I don’t imagine it to be an easy ride…and with a challenging script, to boot. He could have easily done an action film with them, and make a shed-load of money. Instead, he chose a riskier and braver path, one that hangs together a number of impressively shot scenes together on a washing line like clothes to be dried, and hope that it will all fit. A lot, then, depends on you; it is not an easy film to get, not a conventional one to think through logically (which is why I wrote the above about the director; I wonder whether he was truly able to tell this story in the way he wanted to). At times, I feel as if he is asking me to let go of the logic and to feel, with the aid of the music, the colours, cinematography…everything, really. I feel like I get it for some, but not so for others. Perhaps a deeper understanding of Christianity would help, perhaps it wouldn’t. What we have in the end, then, is a film that feels like it’s trying to be brave, trying to achieve something, but perhaps not quite getting there. You might be able to piece the puzzle together, or fall through the cracks trying to do so. It could easily be the kind of film I want to make, or headlining ‘worst film’ lists for the year. That’s up to you. My only true complaint, small though it is, is the fact that it was digitally-shot; it proved to be distracting within the first few scenes. They had a reported budget of $18 million, and they didn’t even shoot it on film? How much more beautiful could have been had it been posterised on film?